As I disembark the plane, the sun tantalises my eyes, the unmistakable smell of Africa enters my nostrils and an old rippled smiling face greets me welcome. I just landed in Addis Ababa, more than one month ago from now, and am thrilled to be in Ethiopia. The reason for my visit is a job interview with SNV, a Dutch NGO. Only God knows what I am doing here in the first place, because judging by the bad phone interview I gave two weeks earlier, some strange spin of events (what can only be explained by divine grace if you ask me), made the Ethiopians decide to invite me for a face-to-face interview. The job at stake is an advisory position to help the oilseeds (notably sesame) industry in Ethiopia flourish. It involves engaging with farmers, traders and processors to streamline the production process from ‘producer to plate’. The project aims to make more money land in the farmer’s pocket and make Ethiopia as a country more competitive on the world stage (exporting seeds to Israel, China, Europe and Japan). 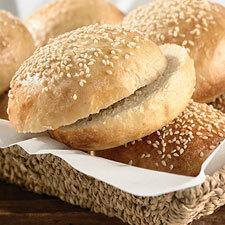 So think about me the next time you notice the little sesame seeds toppling your hamburger bun. The interview goes well and although they acknowledge I am under-qualified for the position, they want to cash in on the potential they think to see, but I have to wait for the next day for the results to be out. It must have been the only night I can recall I am unable to sleep because of all the excitement running up and down my veins and thoughts running through my mind. The following day the die is cast; I am hired. I start to picture me living in this place for the coming years and I try hard to suppress a near constant ear-to-ear smile on my face. Not only is this my absolute dream job, this is the one country I would love to live in most (while Congo still has my heart). Still smiling, I send a thank-you prayer heavenwards. Feeling a bit indulged in life’s riches, on top of the job offer, I had the chance to ride the motorcycle across East-Africa with my lovely (and brave..) sister before I start the job little less than 2 weeks from now. Last time I left you readers at the beach along the Kenyan coast and albeit a tranquil interlude of watching waves hit the shore and getting our feet sandy for a couple of days, the journey was far from over and another one and a half thousand kilometres of road still awaits us. 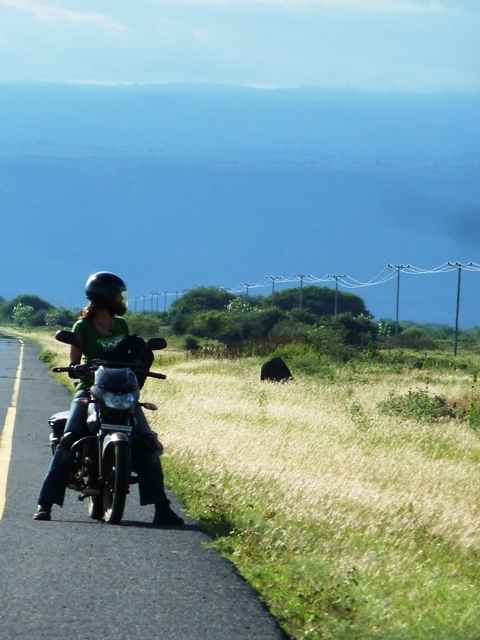 The country that is left, and still a strange to our bikes, is Tanzania. This is also where my involvement with Africa started exactly five years ago. I wasn’t a warm welcome. First we have to bribe an immigration officer that was not amused by us missing the border post earlier (see last post). This hassle makes us fall behind schedule and forces us to drive at night into Tanzania. First we encounter a giraffe passing the road. Initially we only see its legs but when we look up there is this huge, majestic animal. Next thing is a road block on our way made up of big stones and thorny tree branches. As the block looks far from anything official I tell my sister that we are not stopping, but just drive through. We find a small space between two stones where our wheels fit and then hit the throttle. While driving the blockade my bike hits a tree branch which I drag along for some time. While we make it through, we still have a frightening 30 km to drive in pitch dark bush land. The thought of bandits blocking the road, obvious up to no good, is more than the excitement we signed up for. Luckily a lovely Tanzanian friend awaits us at our destination and we take a rest for a couple of days to get back our ‘cool’. The rest of the road is just stunning; lush green rolling hills, baobab trees springing out of the red soil, vast empty spaces, and traditional Maasaii walking by the road. There is something profoundly exhilarating about being on the road for so long, loose from everything and just nature as your companion. The possibility of stopping anywhere or talk to someone, your body weight controlling the motorbike. The complete open space around you feels like driving around in someone else’s painting and little by little becoming drawn up in it. In a month’s time over 3000 kilometers passed under our feet, thousands of people smiled and waved us bye, we collected a good list of crappy hotels not to visit, we had countless laughs, we have seen some of nature’s best, bandits and corrupt police officers crossed our path and unforgettable memories still echo in our minds. Back in Kigali, I park my bike and think this might be the craziest thing I have ever done. Janno, in case you fail in jour new advisory job(highly unlikely) you can still become an author of travel guides or thrillers! I liked your post very much and it is good to see that you keep up the good spirits. Make the most of your time in Veenendaal, have a good trip to Ethiopia and get to know all there is to know about sesame seeds. I will never eat my sandwich( I do not want to know about hamburger buns as they remind me of the big M) again without thinking about you. Bye and hope to see your next post soon. Bedankt oom Leen (en tante Martina)! jullie zijn toch trouwe volgers van jullie reislustig neefje. Al is het de dagen dat ik nu in nl ben niet heel warm, wens ik jullie alvast een prachtige zomer in dronte toe! JANNO, YOU CAN BE A GOOD BOOK AUTHOR…. I NEVER THINK IF YOU CAN WRITE SOMETHING LIKE THIS. THIS IS GREAT KEEP IT UP. WHEREVER YOU ARE, YOU CAN STILL WRITE SOMETHING AS YOU ARE PERSONAL BOOK IN YOUR LIFE JOURNEY,NOT ONLY YOU WORK TO YOUR PROFESSIONAL BUT YOU HAVE MORE TALENT HIDDEN IN YOU, WHICH YOU CAN USE IT TOO AND YOU WILL REACH FAR.